Don’t miss out this free program if you like spoken word or want to tell the world your stories. Come out to the info session on January 18th and shoot us with questions. RSVP link is here. The CLN is also hiring Youth Assistant, Photographer, Graphic Designer and Videographer! 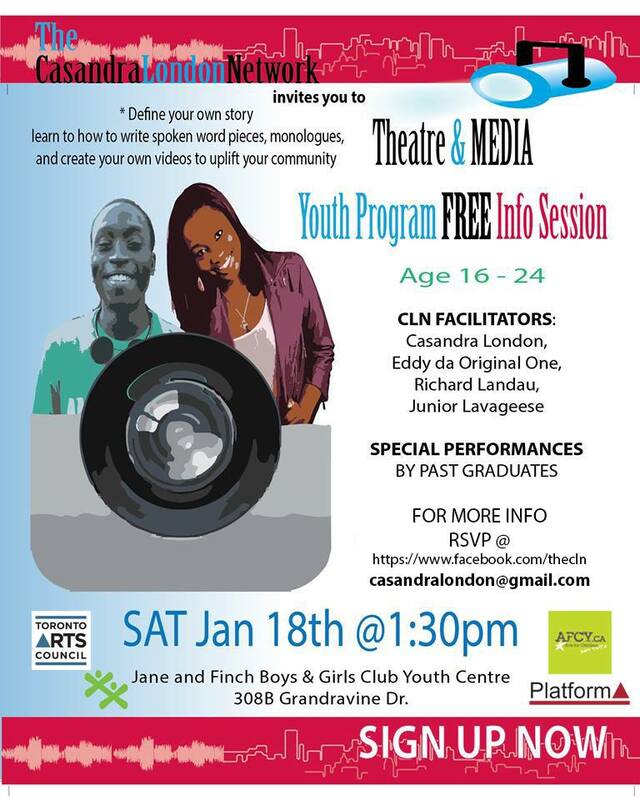 A side story that you might want to know, I met the lead of the CLN, Casandra London the very first time at Daniels Spectrum when she was a journalist from SNAP North York; then I attended her media literacy workshop at Arts for Children & Youth and learned a lot from her; then we figured both of us attended Art of Facilitation workshop at NIA Centre where she was there a year before me; then I saw her again and again almost everywhere in the arts world. Kinda amazing and real, isn’t it? I will see you on January 18th!